Pinnakle Technologies is an Information Technology (IT) and Management Consulting firm located in Aurora, IL. Founded in 2009 as a Minority owned Small Business, we offer innovative and reliable IT Software Development, Program Management and Staff Augmentation services. We have signifcant experience in working with large Federal, State Public Sector Agencies, & Corporates. Pinnakle has a high degree of reputation based upon delivery of quality services, client referals, and strategic partnerships with companies like Oracle. As a company with a proven record of growth and emphasis on quality we are strongly focused on creating and maintaining highly satisfied clients. We offer a great depth and breadth of experience with the capablities to implent, optomize, integrate and support IT projects on various different technologies. Ajay has over 24 years of experience comprising of 14 years in active business and IT consulting. During the last 10 years he has successfully managed and grown IT consulting and service startups. Ajay’s consulting and business experience includes serving at clients like GSA, USPS, General Dynamics, Alcoa, ON Semiconductor, FedEx, ATMOS Energy and many more. Ajay is the founder president of Pinnakle. Frank has over 16 years of experience in the IT consulting/staffing industry. Frank joined Pinnakle Technologies in 2010. He is responsible for the overall company strategy as well as sales, recruiting and business partnerships. He is a proven leader with experience delivering IT staff augmentation solutions for both enterprise (fortune 500) and mid-market clients alike. He believes success comes from initiating, building and maintaining strong client relationships in order to fully understand client needs and then deliver solutions which meet those needs. Frank holds his BS Degree in Business Management with a minor in Finance from Pennsylvania State University. Implementation of a multi-year, strategic upgrade to a major government agency’s core operational control system covering Asset Management and Fleet Administration and Maintenance. Re-implementation of the Oracle EBS R12 application suite, on time and within budget, for a major electronics manufacturer. Comprehensive assessment, evaluation and strategic systems recommendation for a global testing and quality assurance organization. Pinnakle’s performance and quality engender trust in our clients’ organizations. Our performance has placed us as one of the top five technology providers for a large, global shipping corporation and we have become the “Go To” sub-contracting services provider for a large defense prime contractor. Pinnakle lives by the creed that your success means our success. Large and small, Pinnakle is proud of our track record of successful engagements and performance. Our business is people. We respect the rights and beliefs of our fellow team members, our clients, our partners, and our community. We treat others with the highest degree of dignity, honesty, and trust. We promote and support a diverse, yet unified, team. We share a commitment and work towards common goals. We believe that communication builds trust and trust builds cohesion. Our guiding philosophy is that each team member brings unique experience and important expertise to our firm and to our clients. We ensure our service delivery meets the highest professional and quality standards. We deliver what we say, when we say. Accountability is the fuel for achievement. Accountability and ownership go hand in hand. 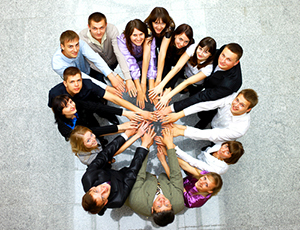 We accept our individual and team responsibilities and we meet our commitments. We take responsibility for our performance in all of our decisions and actions. We measure our success by our clients' success. We commit ourselves wholeheartedly to their success. We strive to exceed our clients' expectations in every engagement we complete. We enter into all relationships with the long term view. Whether team members or clients, we believe true satisfaction and success stem from strong, ongoing relationships.